active it has amassed 284,000 followers including J. K. Rowling, multiple news reports and over 580 tweets. 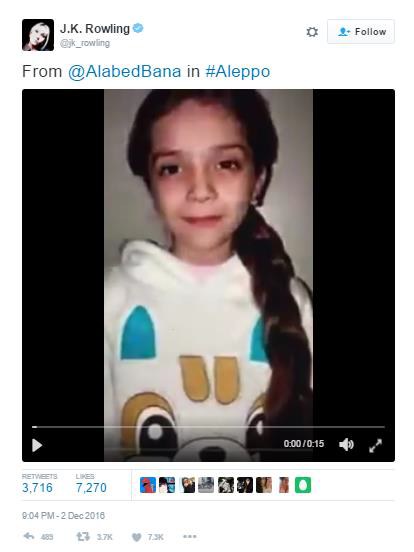 She also posted multiple videos on Periscope which show her daily life, as well as the bombing that E. Aleppo has endured. Her rapid rise to prominence has resulted in questions from some about the veracity of Bana Alabed, her account and the subject matter she covers. This report will examine the media she has posted, the context in which it is posted, and its probable veracity. Due to the possibility of Bana’s account being deleted, all the tweets we have linked to are screenshots from cached pages. Bana’s family consists of five members: Her father, Ghassan Alabed, reportedly works in the legal department of the local council registering births and deaths. He also currently describes himself as an “Activist against terrorism and ISIS” on his Twitter page, and is something of a poet, having posted poems lamenting the destruction of Aleppo on his Facebook page since October 2015. 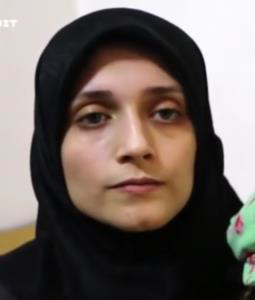 Her mother, Fatemah, is an English teacher who has also studied law, politics and, significantly, journalism. 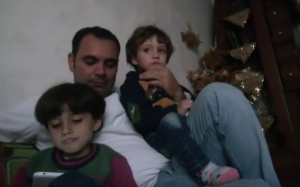 Bana also has two small brothers: Noor, who is 3 years old and Mohammed, who is 5. 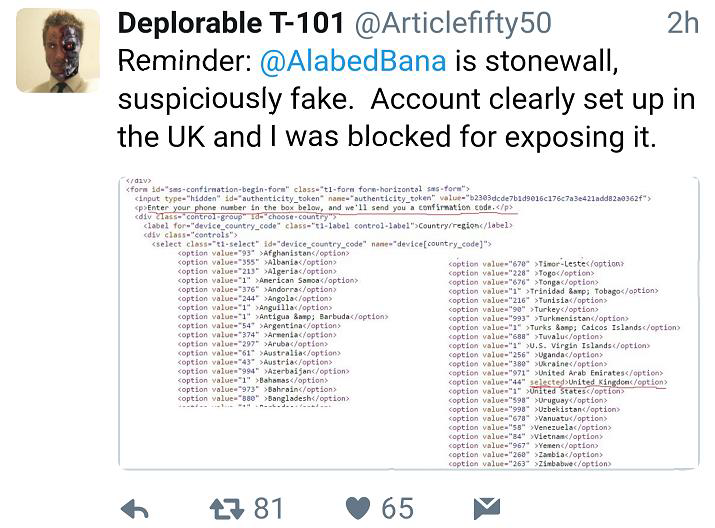 Bana and her Twitter profile rapidly gained prominence after it was set up on the 24th September, indeed on the 29th September several media organisations ran reports on her, including the Mail Online, who claimed to have spoken to Fatemah via Skype, The Telegraph and Quartz. 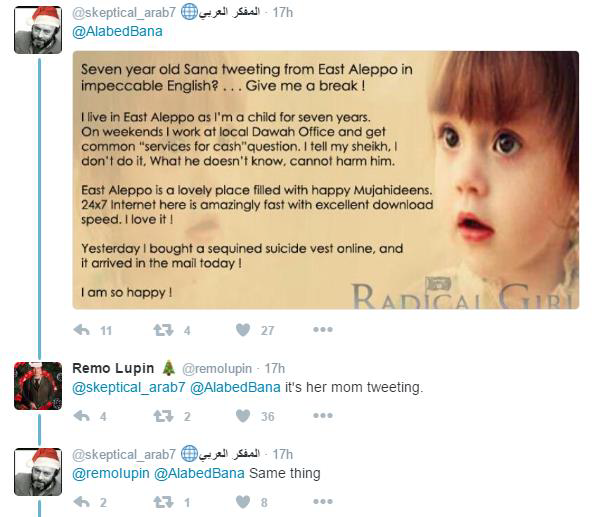 Although initially it is surprising that @AlabedBana became well known so rapidly, the ability of Twitter to spread information so efficiently and intense media scrutiny surrounding Aleppo make her rise remarkable, but not impossible. 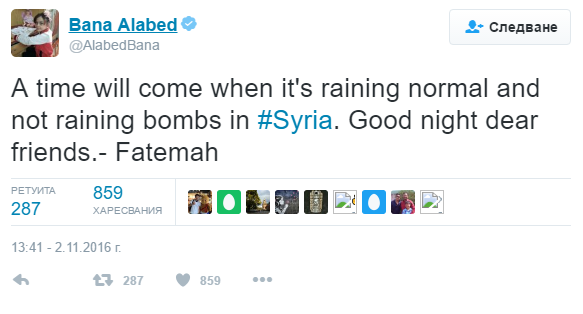 The simple messages of fear and hope from a small child spoken in broken English from a warzone make Bana Alabed very easy to report on, and easily caught the imagination of those who read about her. 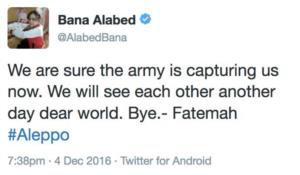 One of the first, and most easily dismissed, allegations about Bana’s account is that it is not tweeting from East Aleppo, but rather from Turkey or somewhere else in Syria. Examining videos posted on Periscope and Twitter from her roof, including footage in which she is clearly present, we can geolocate them to 36°12′16″N 37°11′09″E. 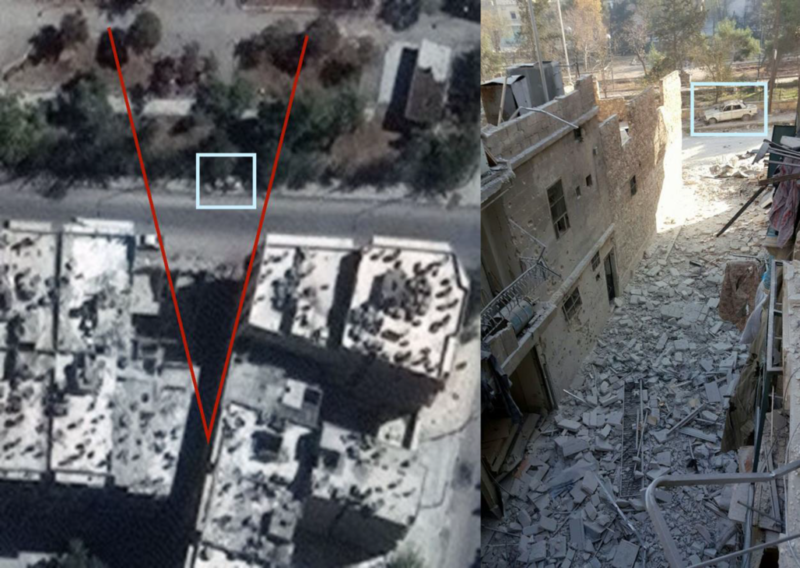 While Bana was tweeting, this block was firmly inside rebel controlled East Aleppo. 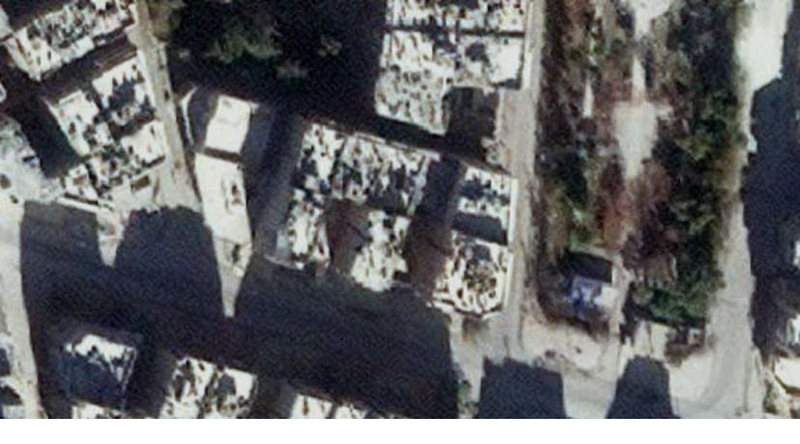 This location appears to be, and is described by Fatemah on their periscope videos, as their home. All videos or photos showing Bana, her mother Fatemah, or her father outside the apartment were geolocated by us were near her flat. 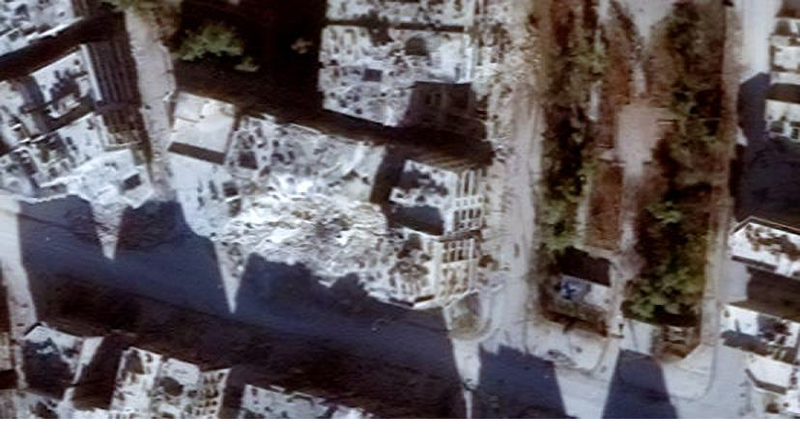 Examination of satellite photos before and after the date of the bombing clearly show significant, localised, damage to her block of flats. Looking at damage in the neighbourhood as a whole, this damage is very specific and appears targeted. 1. 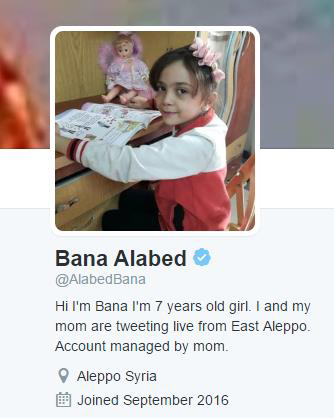 Bana Alabed is a real 7 year-old child who resides in East Aleppo. 2. 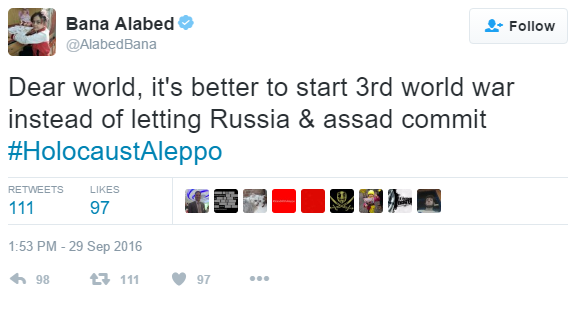 Her Twitter and Periscope accounts have consistently posted videos from the same locations in East Aleppo. 3. 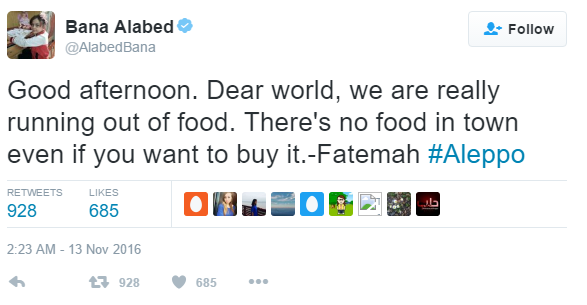 Her accounts are run by her mother, Fatimah. 4. 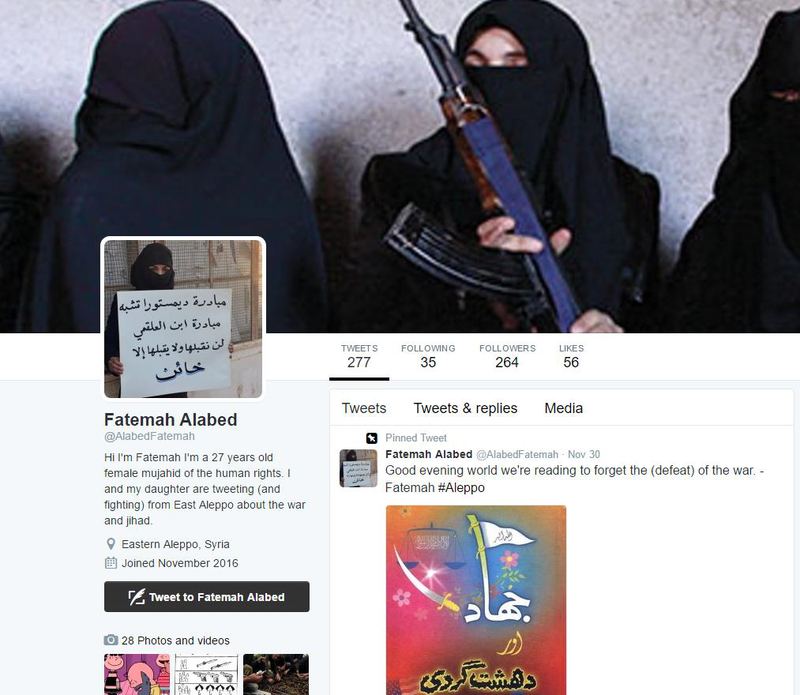 Fatimah has experience of journalism and appears to be very social-media savvy. 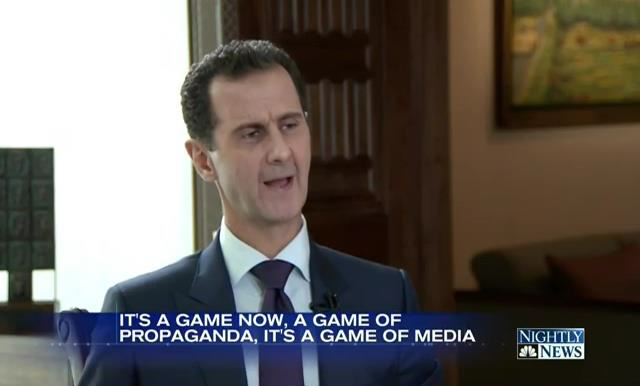 nor a propaganda account seeking to spread a false narrative: due to the events occurring in Aleppo, any account of daily life becomes inherently political. 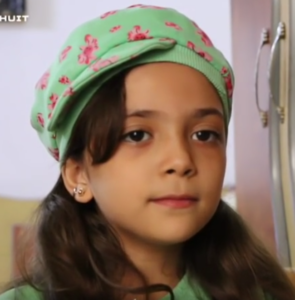 The account has posted more obvious political messages, as well as occasional frustrated outbursts, but for the majority of its existence it has posted the simple hopes and fears of a young girl and her mother. 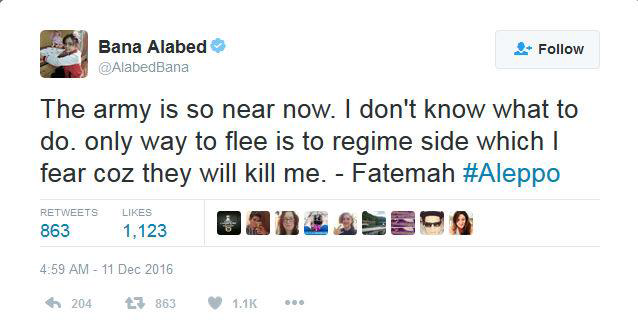 Bombs are falling on East Aleppo and young children are suffering, and Bana represents a microcosm of that suffering.